Millie McManus is a Certified Paralegal and Executive Legal Assistant to David F. Wentzel. Millie has over 35 years experience in civil litigation including all aspects of case management, trial preparation, and post trial and appellate proceedings. 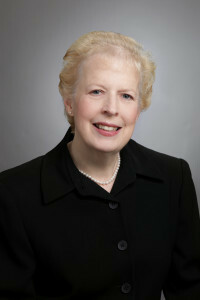 Prior to joining Wentzel Law, Millie served as courtroom legal assistant to Herbert F. Stride (deceased), a noted former Chicago trial lawyer, in connection with more than 30 jury trials in every county in Illinois, in the Federal Court system, and out of state. Millie has contributed to over 170 litigated cases working closely with the lead attorney. Additionally, Millie has been substantively involved in the prosecution and defense of more than a dozen appeals to the Illinois Appellate Court. Millie received a Bachelor of Arts degree from Loyola University of Chicago. Millie is also a graduate of the DePaul University Paralegal Certificate Program, where she earned one of the highest grades ever given by her professor.